Few impacted the sport of boxing the way Muhammad ‘The Greatest’ Ali did. He was one of the main reasons for popularizing the sport in the 1970s and he will always be remembered for his famous trilogy of bouts with Joe Frazier. Although Frazier came out on top in the first fight in 1974 (billed as Fight of the Century), Ali bounced back in the rematch (titled ‘Super Fight II’) to set up a final showdown at Manila, Philippines on October 1, 1975. The bout was named ‘Thrilla in Manila’ due to Ali’s repeated comments to the build up to the event when he said that the fight would be a “killa and a thrilla and a chilla, when I get that gorilla in Manila.” The fight was promoted aggressively. It was scheduled to take place at 10AM local time so it could accommodate the international viewing audience. What also added to the fervor, although unwanted, was the fact that the Philippine Coliseum’s aluminum roof didn’t make it for a pleasant atmosphere inside it for the boxers. The effects of the heat played a huge role in the outcome of the game as Ali prevailed before the 15th round via TKO and cemented his legacy among the pantheon of greats in boxing. 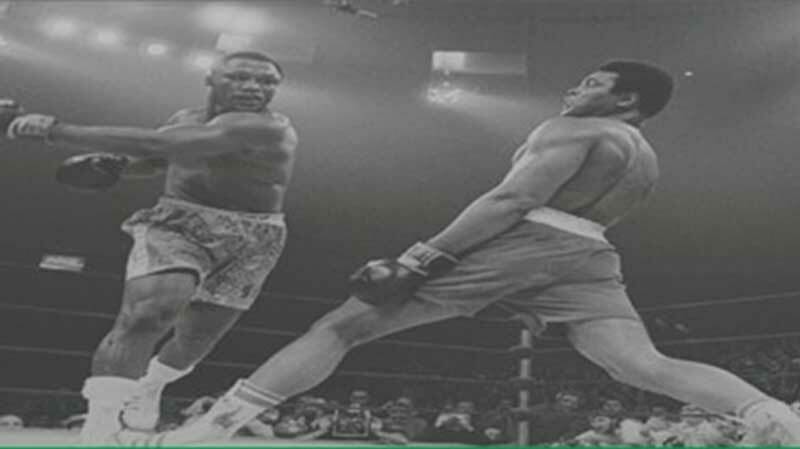 But the fight coupled with the heat took a lot out of the two as it is believed that Ali lost 2.3 kgs during the bout. How ever, that should not stray from the fact about the wonders the fight did for boxing around the globe in particular. It was also the first boxing bout in history to have been on pay-per-view. The Thrilla in Manila went on to be judged as one of the greatest fights in boxing history.